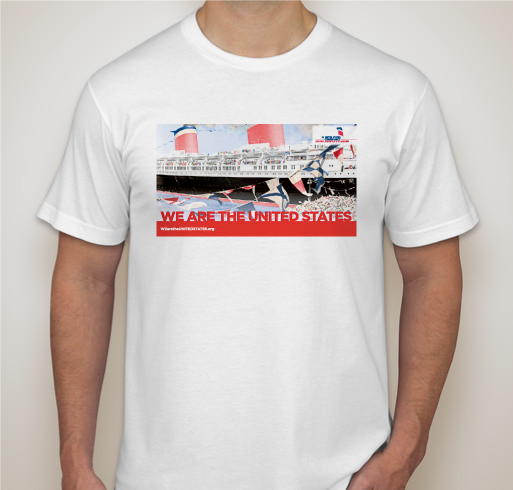 Purchase a shirt today to help save America's Flagship! All funds raised will go directly to SS UNITED STATES CONSERVANCY . At a time of intense national division, can we save the United States? We can by rallying around our core values: Freedom, Courage, Diversity, Resilience, and Unity– because despite our differences, Americans still have the power to come together to take on great challenges. In service from 1952 through 1969, the luxury ocean liner SS United States set a new speed record for a transatlantic crossing on her maiden voyage – a record that remains unbroken to this day! America's Flagship is an irreplaceable piece of history with enduring global significance as a symbol of the nation's historical accomplishments and technological innovation. The quest to save the SS United States is a challenge that can bridge our divides. And she needs us now, more than ever. This great ship is a symbol of who we are when we’re at our very best. The space shuttle of her day, she is an icon of our strength, skill and innovation. The fastest passenger liner ever built, her transatlantic speed record remains unbroken. And she’s the only ship to bear the name of our great nation. Purchasing this t-shirt and contributing to the #WeAreTheUnitedStates campaign can help save this legendary national symbol from destruction. Like our country, the SS United States has beaten all the odds, but she remains threatened. America’s Flagship is ready for renewal as a waterfront destination and a living museum of what unites us. She needs your help to stay afloat and inspire future generations the world over. 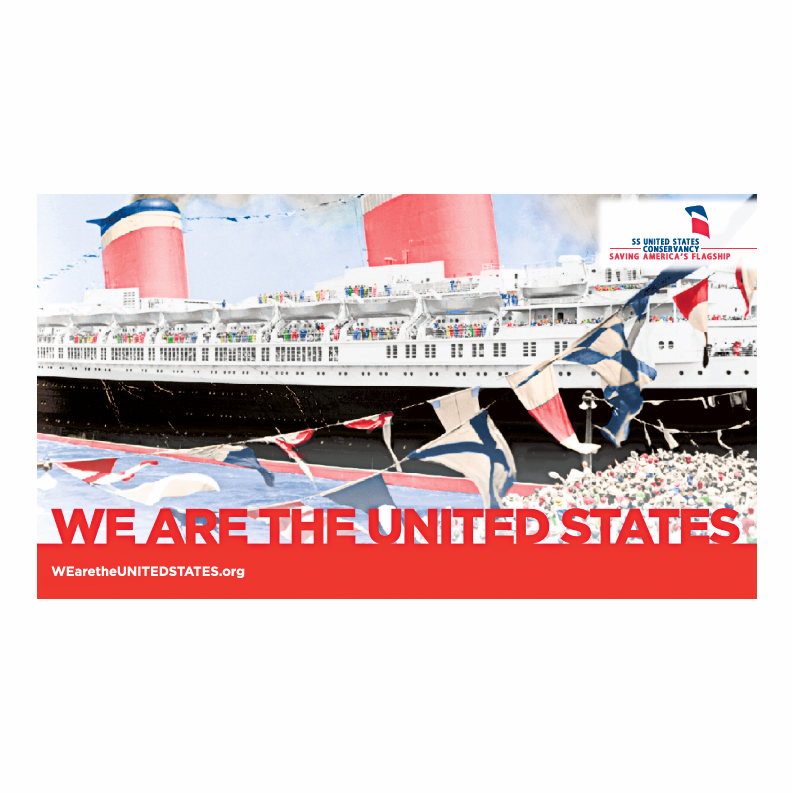 The SS United States Conservancy has announced this national campaign with the goal of raising $500,000 by July 4th. All donations will go directly toward protecting America’s Flagship. For more information about the campaign, visit WeAretheUnitedStates.org. Join us on an extraordinary voyage to save the United States! The SS United States Conservancy, a national non-profit organization, is committed to saving America’s Flagship, the SS United States. The Conservancy raises public awareness and financial resources for the maintenance, restoration and ultimate reuse of this iconic vessel and works to ensure that the fastest ocean liner ever to cross the Atlantic remains an inspiration for generations to come. 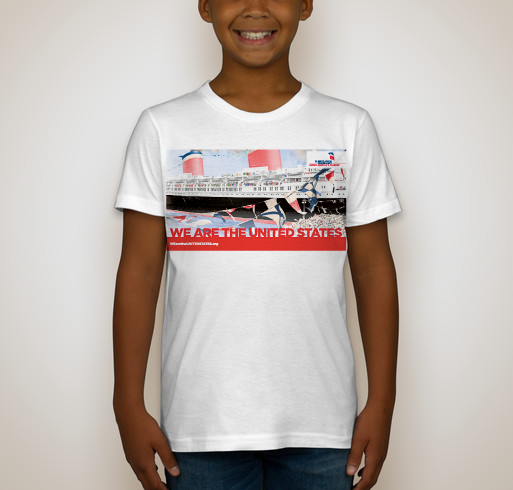 For more information about the SS United States, visit www.ssusc.org. You can also follow the Conservancy on Facebook https://www.facebook.com/SSUSC/, Twitter https://twitter.com/SSUSC, and Instagram https://www.instagram.com/ssusc/. The S.S. United States was part of my life when I was a kid in New York and my father worked on tugboats. Wouldn't it be great if an institution like the Smithsonian could get involved and use the United states as a museum? Although I'm not American, I like the idea of preserving this magnificent ship. Some day perhaps we can see her saved and in use like the Queen Mary, even if never plying the Atlantic again. Love this ship! She was once described as quote "Columbia the Gem" She is a precious gem that needs to be cherished and protected. We should support and preserve this unique American Icon. To help save and preserve America's flagship! Share Why You Support "We Are the United States"